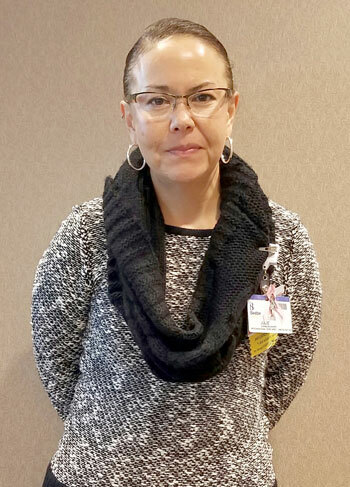 Beebe Healthcare is proud to recognize Judith Johnson-Shupe as the January Living Our Values Every Day (L.O.V.E.) Letter Award recipient. Judith (Jude) was nominated by Alina Ferrer of Interpreter Services at Beebe. Jeffrey Fried, FACHE, President & CEO of Beebe Healthcare, Rick Schaffner, RN, Executive Vice President and COO of Beebe Healthcare, and Cherrie Rich, Executive Director of Tunnell Cancer Center, were on hand to make the presentation and congratulate Jude.